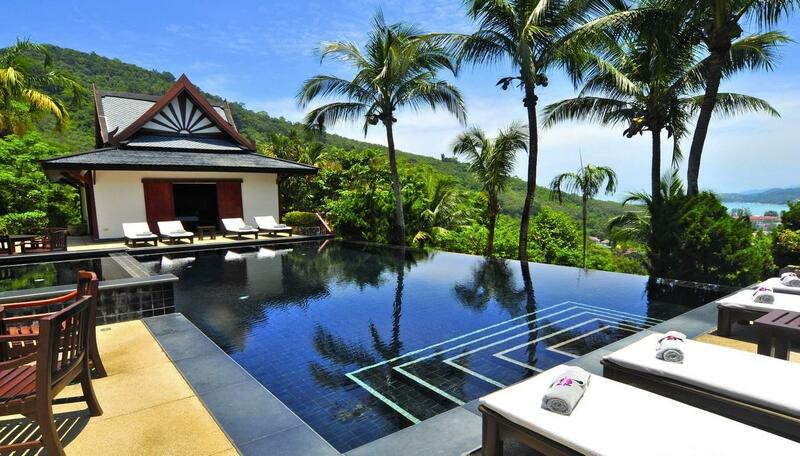 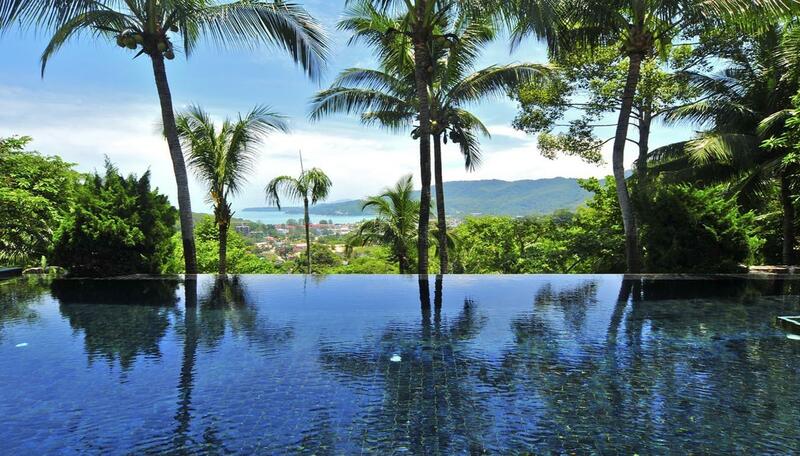 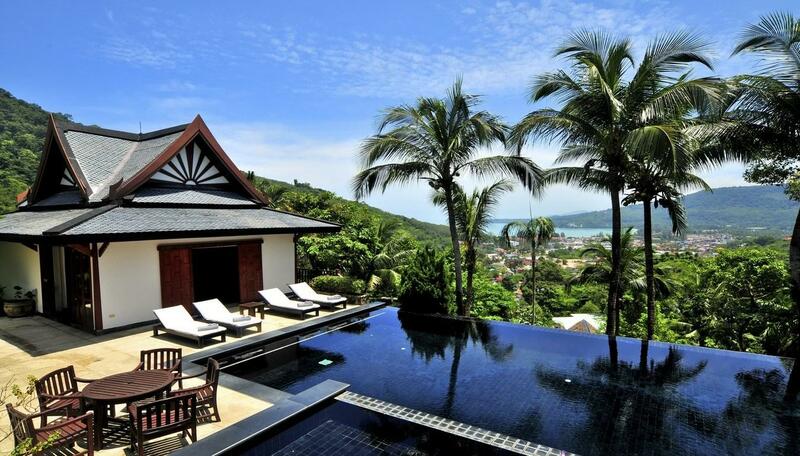 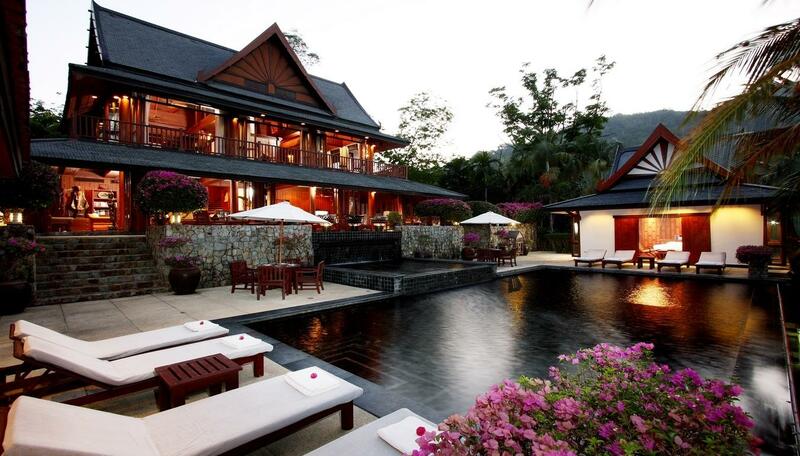 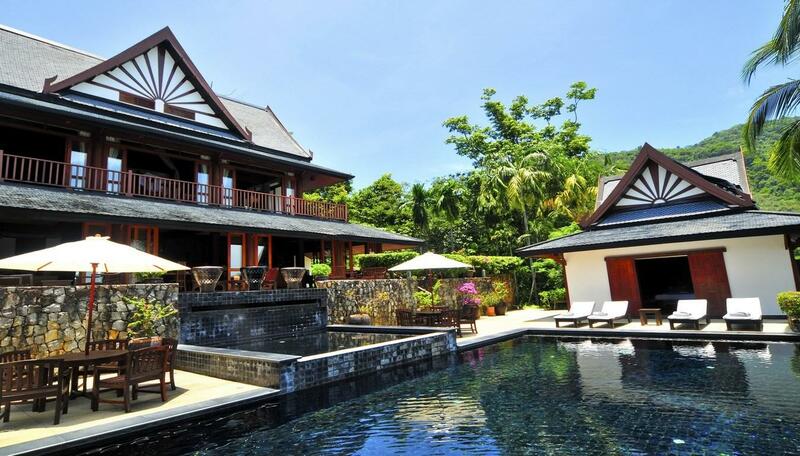 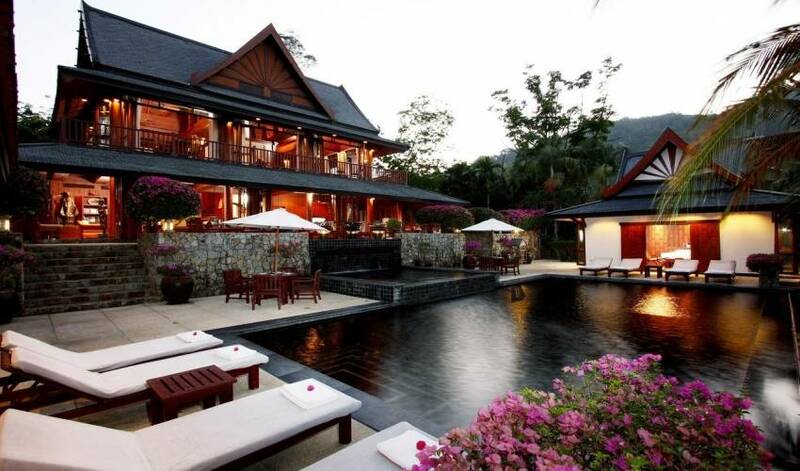 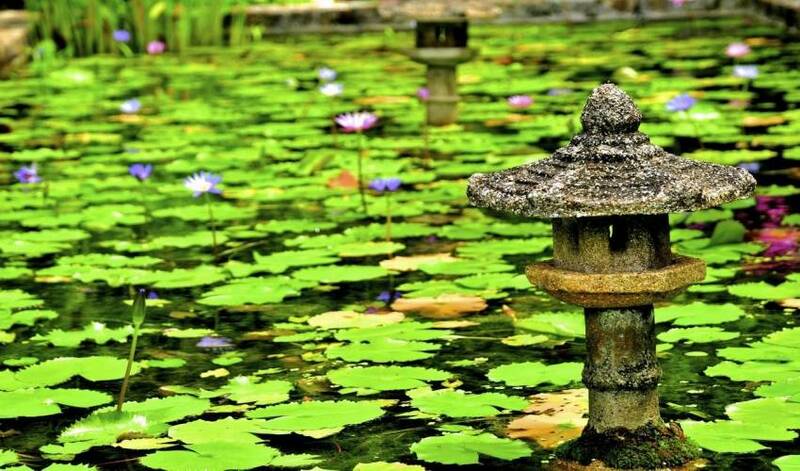 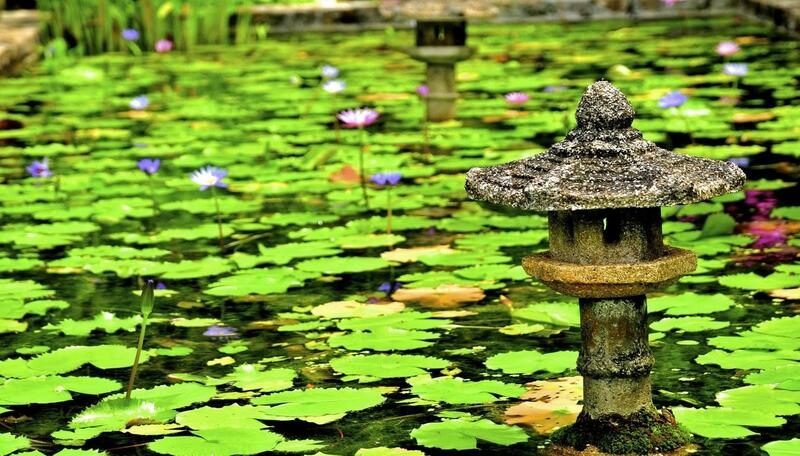 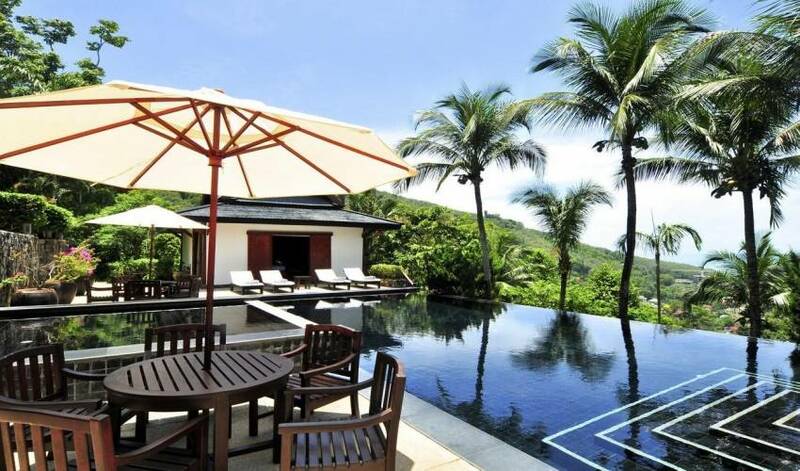 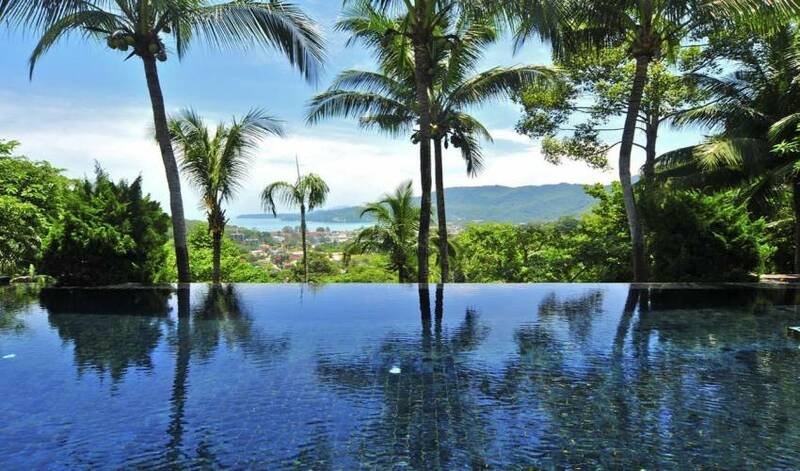 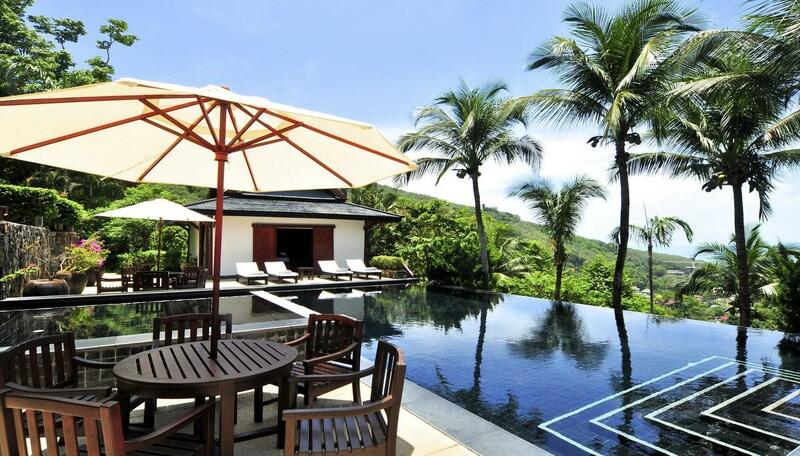 Located on a lush mountain top overlooking the sea and village of Kamala, on the Island of Phuket in the Kingdom of Thailand, are two beautiful tropical and exotic private vacation villas each with a private swimming pool. 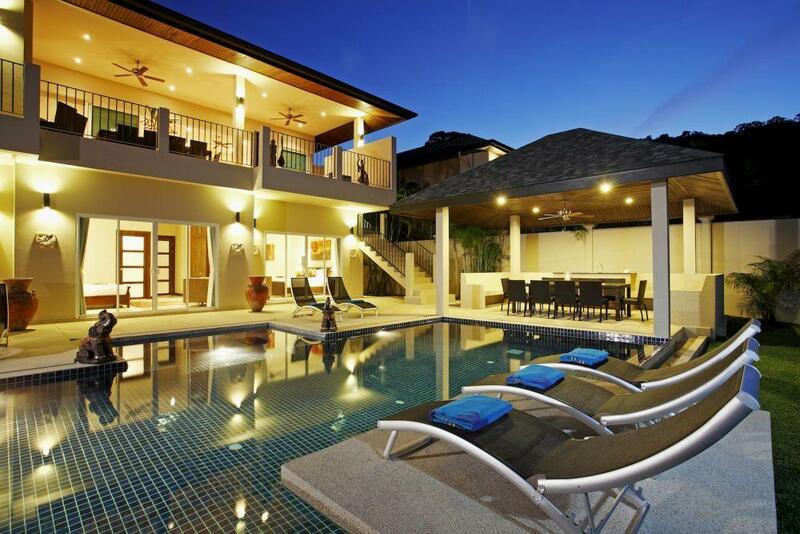 Villa 4325 is a seven bedroom villa with three separate pavilions with another stunning villa only 15 metres away. 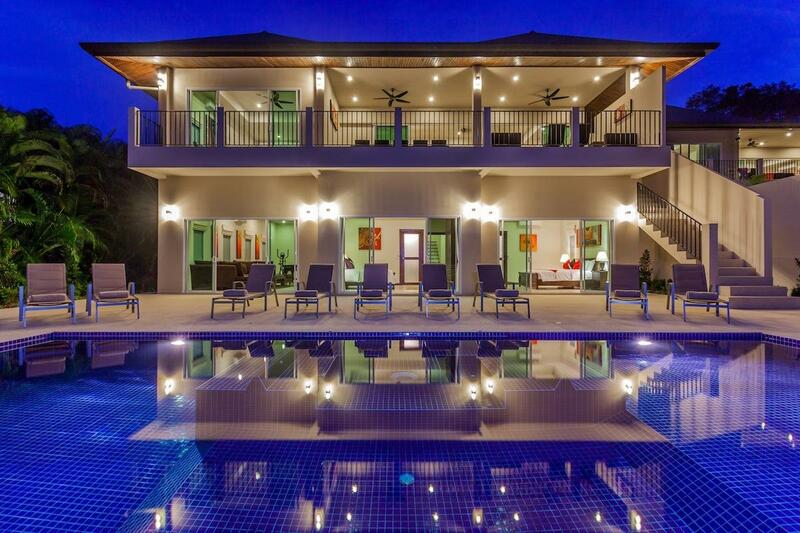 Both villas can be rented at the same time making a total of 9 bedrooms available for larger groups and families.